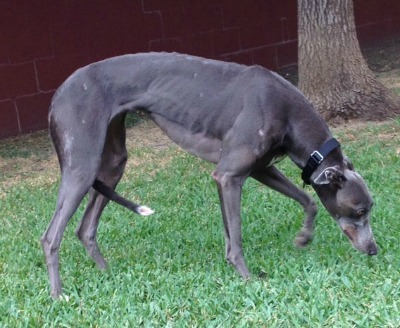 Clover is a 2½-year-old blue female born March 23, 2011. Her sire is Get Over and her dam is Yes I'm Sweet. 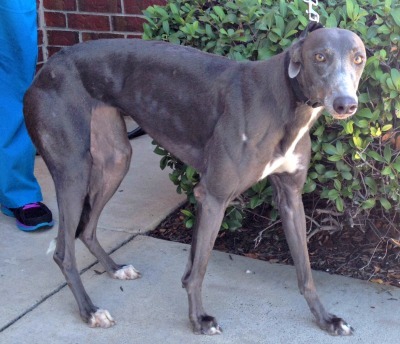 Clover has 13 races on record on greyhound-data.com, all at Gulf Greyhound Park. She started her career on October 13, 2012 and finished up on April 18, 2013. Clover has not yet been tested with cats or other small animals.